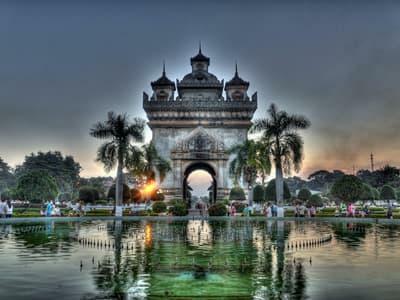 Welcome to Laos! Upon arrival,your professional private guide will be ready to welcome you at the arrival hall.You will be transferred to your hotel with a private car and driver.The rest time is free at leisure. 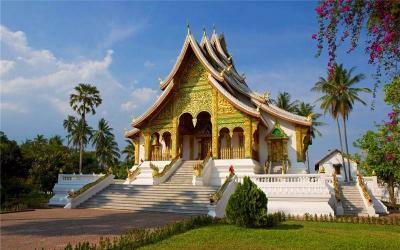 After breakfast drive to airport for short flight to Luang Prabang, transfer to hotel in Luang Prabang. 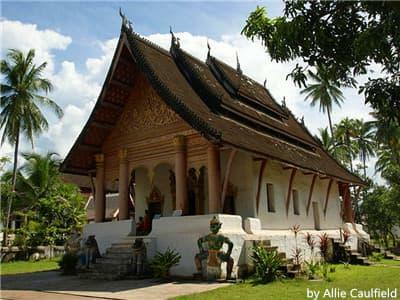 After refreshment, your visit will start with the Wat Visoun,it was turned into a Museum of Religious Arts in 1942, and houses collections of Buddha images and religious artifacts from the fourteenth century. 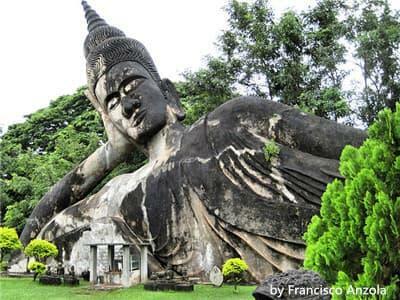 A short drive along the Nam Khan river bring us to Wat Xieng Thong. 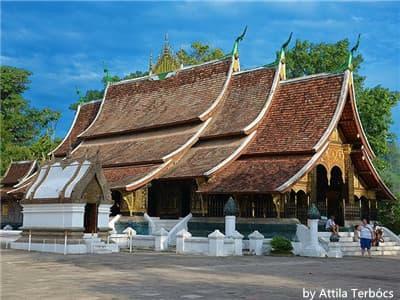 This is one of the most important temples in the entire country of Laos and the most important one in Luang prabang. After a short walk along the streets you will arrive at Wat Mai (“New Monastery” built in 1796).The most striking feature of the temple is the gilded relief panels covering the front facade. 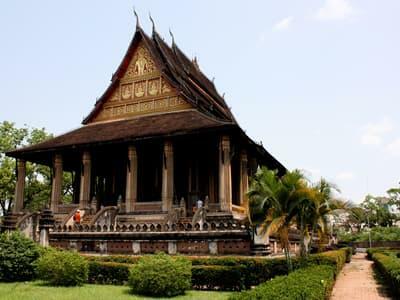 Next to Wat Mai temple is the National Museum (close every Tuesday) which used to be the Royal Palace (Haw Kham). Your guide will help explain some information as you tour the museum. 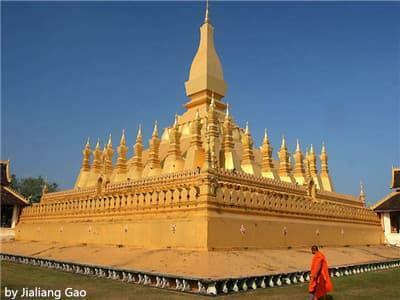 It houses the Royal throne of the Lane Xang kingdom in its original splendor, and many other religious treasures. 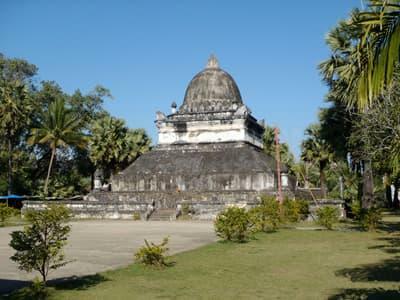 To finish our trip you will climb the steps of Phou Si hill.The gilded stupa at the top of the hill is built on a large rock outcropping.Further down the side of the hill is part of Wat Phra Buddabhat (The Buddha's Footprint Temple). From here enjoy the view of the peninsula where the Nam Khan river meets the mighty Mekong river. Then you’ll board a traditional slow boat for the trip on the Mekong River.This majestic river runs from the Tibetan Plateau through China, Burma, Thailand, Laos, Cambodia and Vietnam. 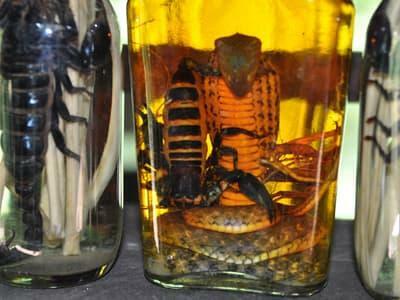 You will stop to visit the holly Tam Ting Caves (also called the Pak Ou caves). This is a site of ancient spiritual significance.Over 4,000 wooden figures of Buddha, many highly ornate, stand within the natural limestone caves, testament to the skill of Lao craftsmen centuries ago.Continuing along the river, you will visit some local villages: Ban Xang Hai where you can see rice whisky (Lou Lao) being distilled and taste the local product;and Ban Xang Khong, where Lao craftspeople make saa paper from the bark of mulberry trees. 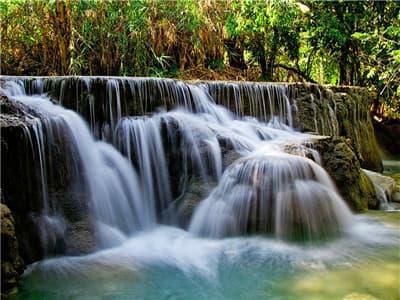 After return to Luang Prabang, you’ll take a private car to visit the beautiful Kuang Si waterfalls, stopping on the way to visit Hmong and Khamu villages. 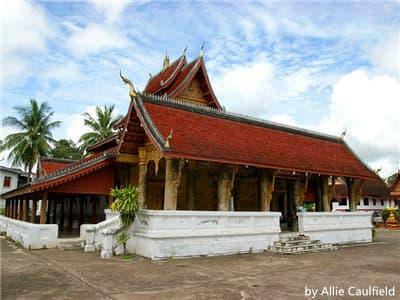 Hmong and Khamu villages have different structures and ways of life; here, you can learn about their traditions and the differences between Lao, Khamu and Hmong culture. The multi-tiered waterfall, which takes on a striking turquoise color in the dry season, is perfect for a refreshing bath in the afternoon. Clean and relaxed from the waterfall. After the visit, you will back to town. 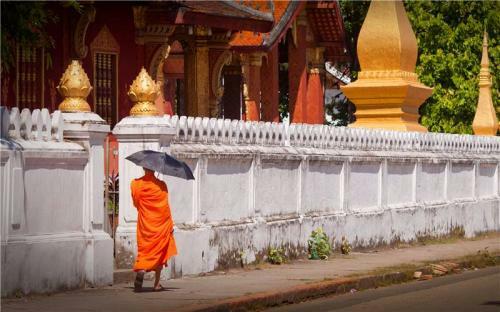 Explore Luang Prabang freely before be escorted to the airport for your onward flight. 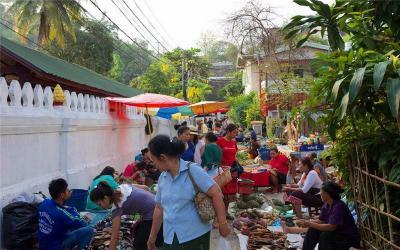 We wanted to get outside of city, but many of the itineraries offered by other tour companies seemed rushed or included activities we weren't interested in. after look through so many tour on the net, we finally decided to book with UME. We were very pleased with out tour and would recommend it to all wishing to experience Thai local life and enjoy beautiful nature in laos. I highly recommend them and our guide, Mr. Jack, his knowledge and love of his country was contagious, and driver, Sambo. We could never have arranged an itinerary by ourselves that went as flawless. 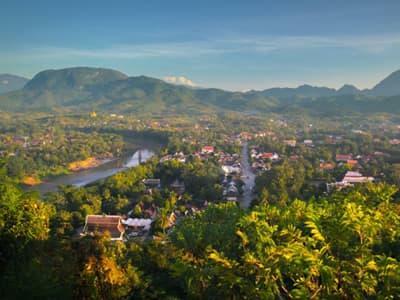 Mrs. Eva and Ms. Phoebe are both our top guide and driver in Luang Prabang, they can always make your tour more special and memorable. Lot of experience. 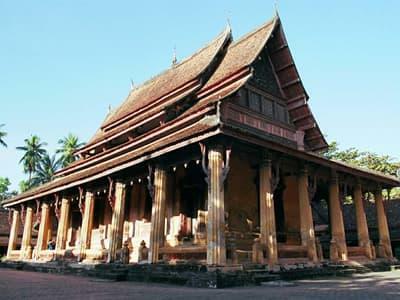 If you are reading this want to go on a real laos tour, then you have found the right place! I had contacted Eva well before I was ready to travel and felt very comfortable about our plans. And our local guide is great! 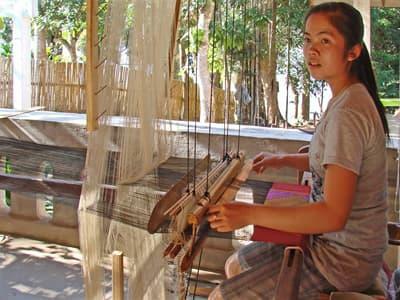 I would recommend it to all wishing to experience laos local life and enjoy beautiful nature. They are really good! After a missed flight showing up a day late he still made sure we could get out the following day. We are thankful for it. we did as our 4-week vacation in Southeast Asia. Jack is a delightful man who made every second of our time with him comfortable and educational! He was always smiling and laughing with us while sharing information about the area and culture. 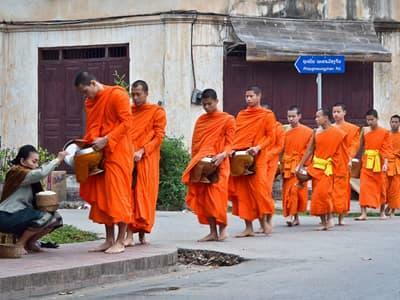 If you want a fun trip to remember in Vietnam and laos, do this! !